What is new build steam? The LNWR George the Fifth Steam Locomotive Trust kindly answered questions in the latest New Build Steam Q+A feature. When did the project start and how? 2012. The charitable trust was set up that year and the project was launched at the NRM festival in the summer. The great age of twentieth century LNWR express travel was a huge gap in the preservation scene which we were anxious to fill. 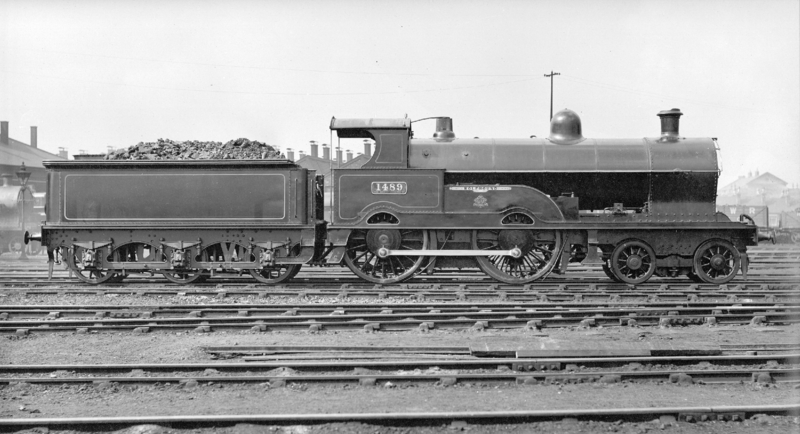 We were also keen to have the pre first world war 4-4-0 as part of the regular main line scene. Paul Hibberd had been trying to promote interest in such a project and by pure chance stumbled across an old railway magazine which asked anybody interested to make contact with Bruce Nixon. We each brought our own range of contacts to the party and the project was born. What’s the total cost likely to be? The figure we have always mentioned is £1.5 million. It is obviously only an informed guesstimate but nobody has contradicted this figure. What still needs doing, and what are the current/short-term priorities? Completion and commissioning of the locomotive! Our belief is that creating the maximum visual impact as soon as possible is the key to maximising credibility and therefore success. So we have recently ordered five tons of high grade steel, enough for the coupling and connecting rods and key high stress components of the Joy motion, and Somers Forge has been contracted to forge the ten foot coupling rods. 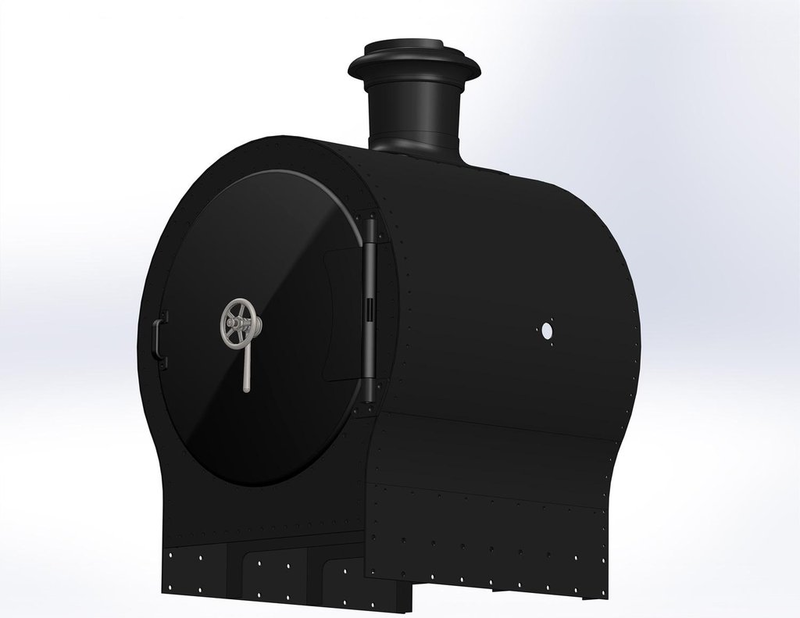 We have also engaged Westfield Patterns to produce the pattern for the chimney cap to stand on top of the smokebox we have already manufactured. In addition we wish to progress casting of the four bogie wheels with Boro Foundry subject to final confirmation that fine detail of the original design is indeed compatible with current mainline access regulations. Not far behind this we wish to produce the outer shell of the boiler barrel – after that we will have a Trustee meeting! How much engagement do you have with the household of the Duke and Duchess of Cambridge? How much of a difference has the link made in terms of fundraising and publicity? Supply chain issues seem to cause problems for lots of new builds – have you had any experience of this so far? Not really. We are fortunate that Jamie Keyte, who is ex Bombardier and now runs his own engineering company, is a good friend of the project and has been able to introduce us to heavy metal spinners etc. Terry McMenamin, whose experience ranges from overhauling the motion of a Super D through to work on problems with APT bogies is a very active member of the team and is a great help in asking potential suppliers the right questions. More of an issue is the supply of sufficient people with relevant skills (for example FEA or CAD) and time available to keep the ball rolling as fast as we would like. What’s your fundraising strategy – what kind of person is donating the money, how do you find them, what are the revenue streams? To pursue regular contributions, single contributions and in particular contributions related to specific objectives (for example ‘the boiler barrel club’). To have all these gift aided where applicable. To show appreciation to our supporters. To inspire them and potential donors by turning money into metal. Once a site is agreed for the new build it is hoped that this will also generate a new base of support. In addition we have promoted the idea of legacy giving (including coverage in The Daily Telegraph) and are approaching corporates. The proposition on which the new build is based is not just that we are building a locomotive but that we are recreating a world which no longer exists for the benefit of current and future generations. All kinds of people donate the money. 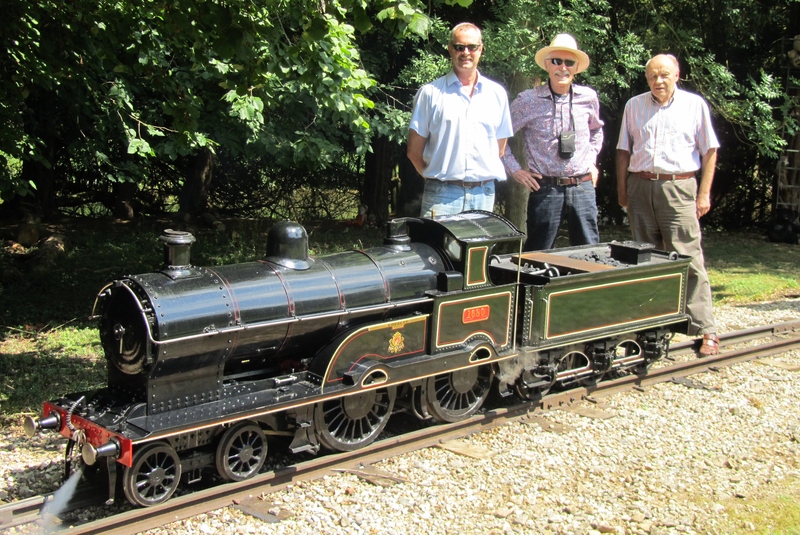 Members of the LNWR Society are an obvious first step (their current Chairman, Brian Hayes, is one of our trustees), ‘Steam Railway’ readers and people met at preserved railway/open day events are also important. You never quite know who your friends are going to be and people good at talking to the public who would like to speak at roadshows/man stands and those with website skills are especially welcome. How big are the active members? Who does the work on the locomotive? 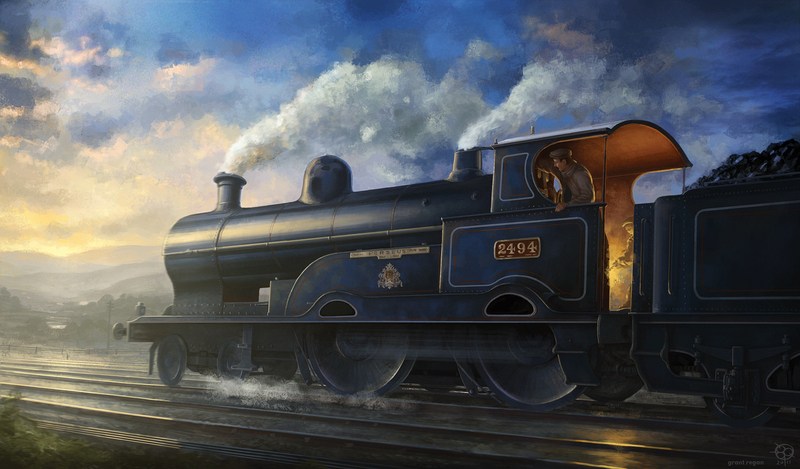 Steam enthusiasts tend to be older –what’s the demographic of your group like? It depends on how you define active. There are half a dozen people more or less ‘up to their necks’ in it, a much large number who have a degree of active involvement. The work on the locomotive is done by contractors, but we are looking at the practicality of finding some involvement for volunteers (particularly as an incentive for those of our supporters who so wish). In addition we would be delighted to hear from home engineers who may be able to help with small parts. The demographic of the group is fairly evenly spread among age groups over fifty, but Jamie is in his forties and Tom Mainprize, one of our trustees, is in his twenties. One problem with younger supporters is that once they get past university age their lives tend to be incredibly busy as they make their way in the world so their ability to provide support becomes limited. What’s the biggest obstacle you’ve overcome so far? Unquestionably dealing with uncertainties created by the changes to the mainline access regime brought in last year. Now, having engaged Ricardo Rail and learnt about ORR and RSSB it seems the dust is clearing so we can proceed with manufacturing that would otherwise have taken place some months ago. Archives – where have you looked, what have you found? The NRM fortunately has most of the original drawings and LNWRS has been very helpful in supplementing these and in providing information on other literature relevant to the class. What’s the likely working future for the engine? Do you intend it to go on the main line, and if so what sort of top speed would you expect it to have? 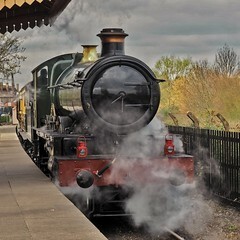 Heritage railways, the main line and appearances as a ‘star’ at special events. The Georges were surprisingly powerful express locomotives and commonly ran at speeds into the eighties. So we initially aspired to get clearance for 75mph. Ricardo has advised that 90mph might be possible and we are looking in the minutiae of current railway rules to see whether that might be possible on occasion. Either way we think we are looking at an exciting new entrant to the main line scene. Will there be a reduced height chimney for the main line? Yes, in common with Kings and Royal Scots there will be a height reduction. Unfortunately people have put up overhead live wires on most of the stamping grounds that the Georges used to enjoy. All images courtesy of the LNWR George the Fifth Steam Locomotive Trust. Would prefer a NB Reid Atlantic to the NER version. Impressive beasts. Fantastic project. I hope this sparks an interest in building pre-WW1 engines. NER Compound Atlantic anyone?